+ Switched to cleaner CD controller code from Eke-Eke's Genesis Plus GX. * Fixed overflow issue where cd emulation would break after ~10 minutes of gameplay. * Fixed synchronization issue where model1 CD BIOS would randomly hang. + 32X+CD emulation has been implemented. * Various CD compatibility issues have been solved. Hopefully no more regressions this time. * Improved compatibility with Slackware/old version of SuperZaxxon. * Lots of 32X compatibility and accuracy improvements. Most (all?) commercial games are booting now, but some still have issues. 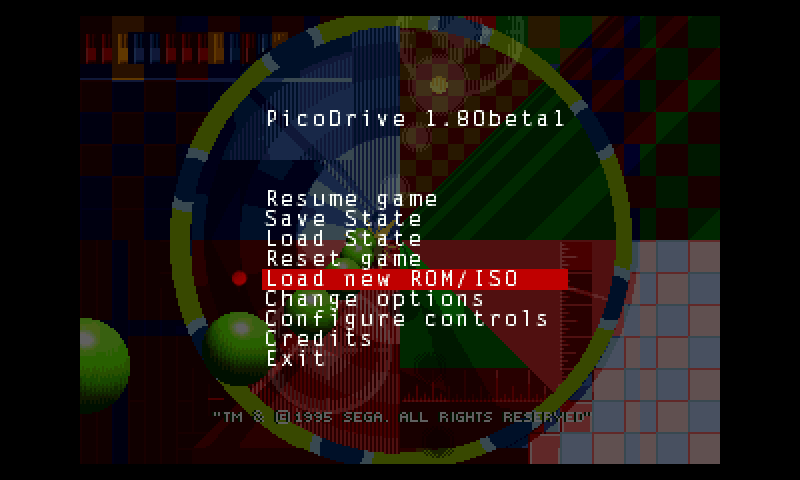 * Fixed some regressions in MegaCD code, like hang in jap BIOS. * Implemented pause for SMS. * Updated UI with improvements from PCSX ReARMed (functional only, it looks the same). * Frontend timing has been rewritten, should no longer slowly desync from LCD on pandora. bravo :) just need to fix the strange uk star wars rom issue and its golden. First of all thank you for this great update. Seems many of MEGA/SEGA-CD games working now But still my favorite games not working include one of the best MEGA-CD games "The Ninja Warriors" This games is one of the working games on old version but from this update not working anymore. While 32X performance has been improved :) I can no longer play Silpheed for SegaCD. It consistently crashes at the Sonic w/Sega screen.